When you starting a jewelry retail business . 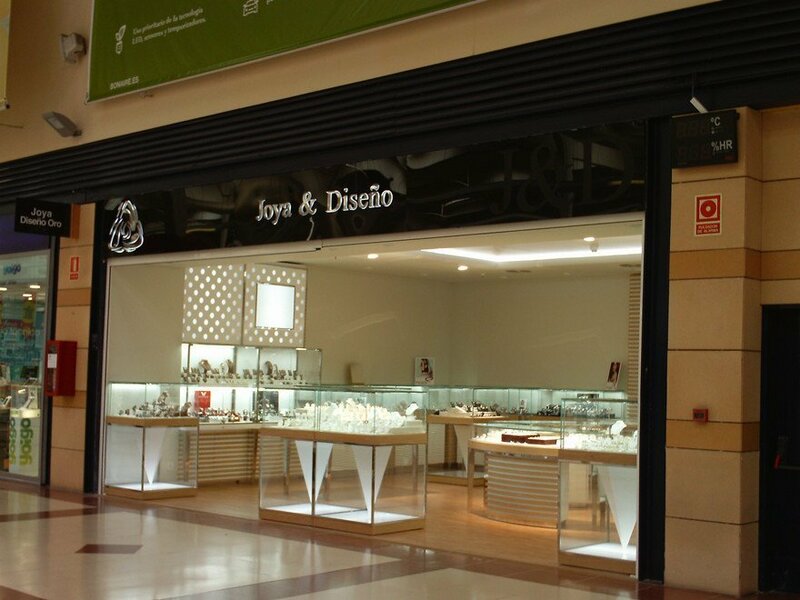 You need a reliable store fixtures manufacturer help you equip your shop with great design shop furniture . 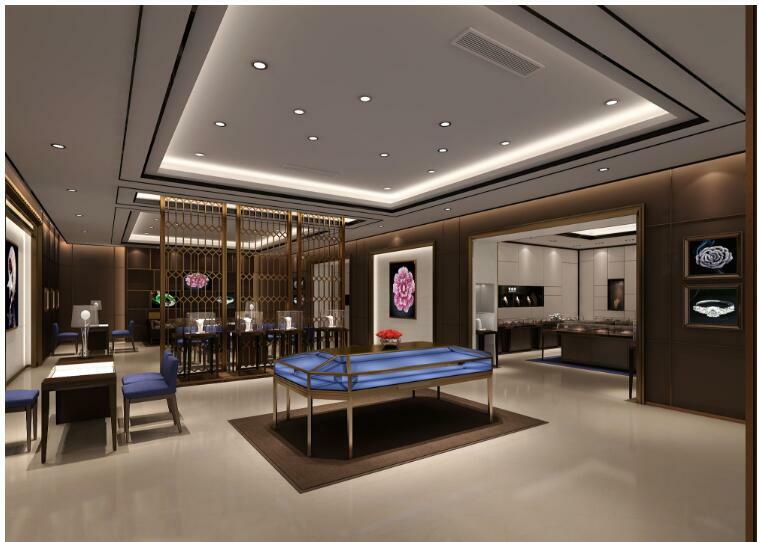 In fact jewelry shop furniture are quite different from other retail store fixtures. As we know , Jewelry is a luxury products. No need a lot of traffic every day. People most buy a gift or jewels on special anniversary or birthday to when young are in dating. 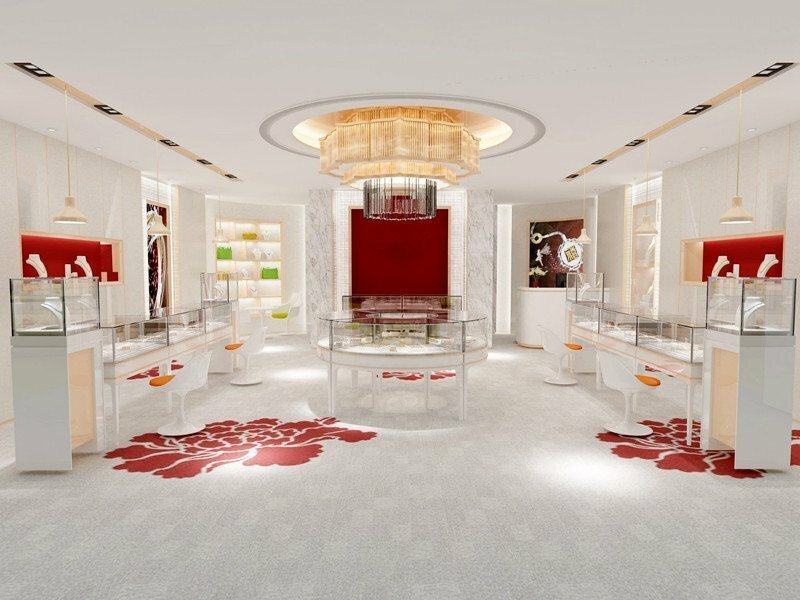 So a nice design and luxury circumstance jewelry shop design is a must. 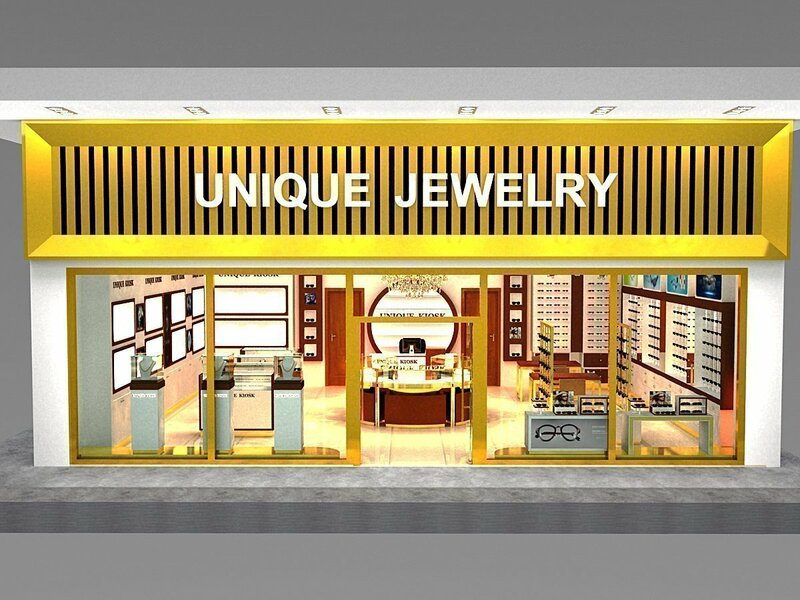 Unique Kiosk has been design and build jewelry shop furniture for over 20 years and we start to exporting jewellery store fixtures since 2002. We provide best jewelry interior design with high quality finished jewelry cased for sale. No matter back cabinet again wall or lower island counter cabinet even cash wrap we will spend detailed effort on it. We do our best to ensure customer a high level , unique but affordable jewelry display furniture. What are jewelry store furniture for ? 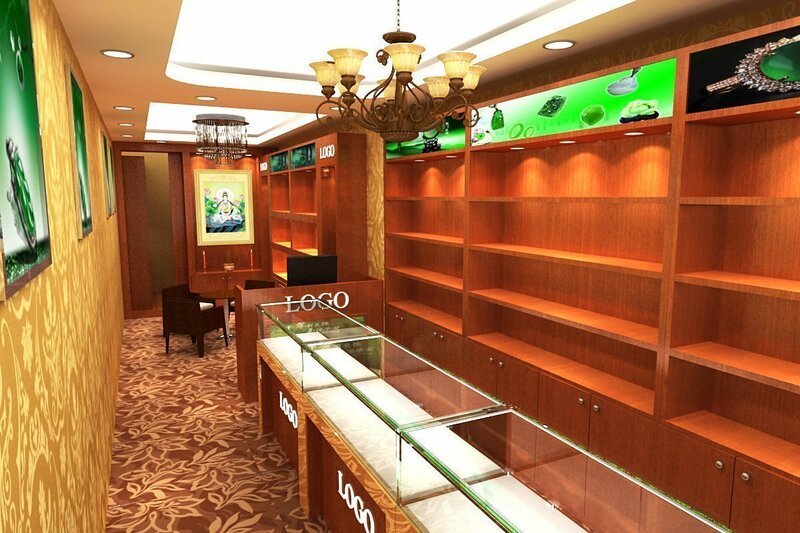 Most of jewelry display furniture are used for indoor shop ,franchise store, jewelry showroom or personal space. To classify form function .Jewelry display can be divide into wall cabinet and front counter. Wall cabinet are higher cabinet against wall . Some will be decoration while other are used for display. You can make some display shelves and rack in wall cabinet . Or design a niche for some special jewelry display. Most of the wall cabinet are used for adverting with jewelry display. Front counter are display case we know as retail counter. Most sale are finish here. 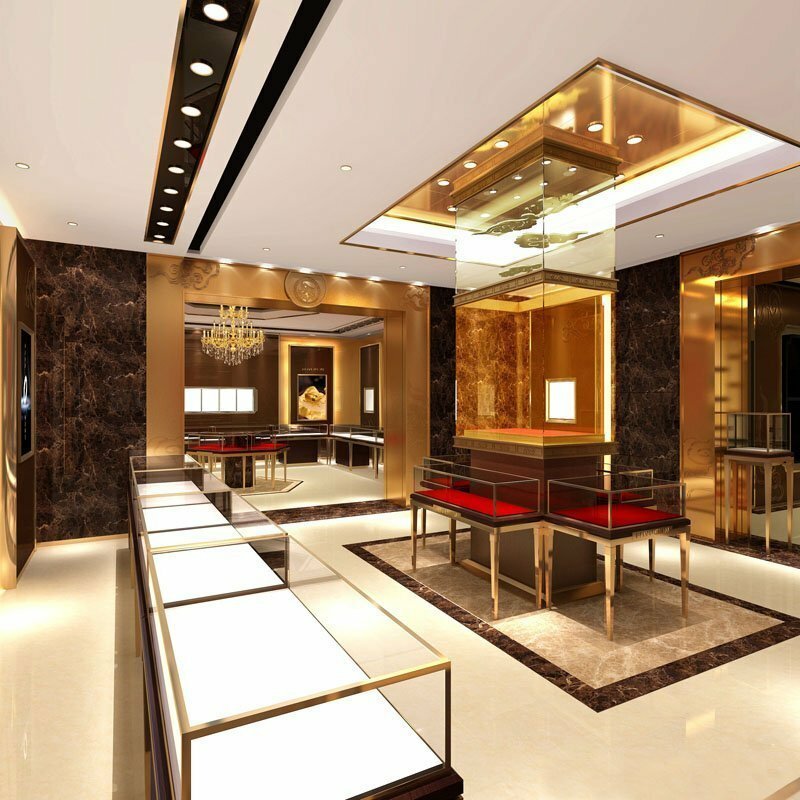 So jewelry display showcase and display counter must be design lockable .some of cabinet even use bullet proof glass for safety consideration. To get a clear view of jewelry for customer . Professional furniture manufacturer will suggest a ultra white tempered glass which has no green color in it. 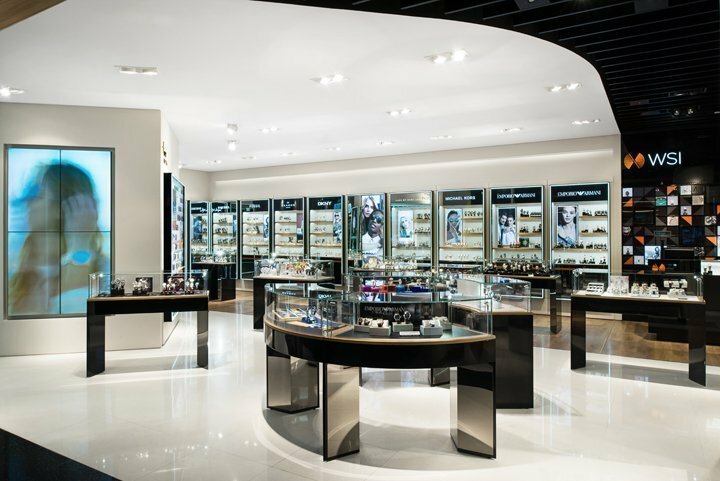 The LED light using in jewelry display fixtures are also daintily. Different products display must use corresponding light temperature. For example. Gold display showcase better use warm color while silvery products are prefer cold white color. 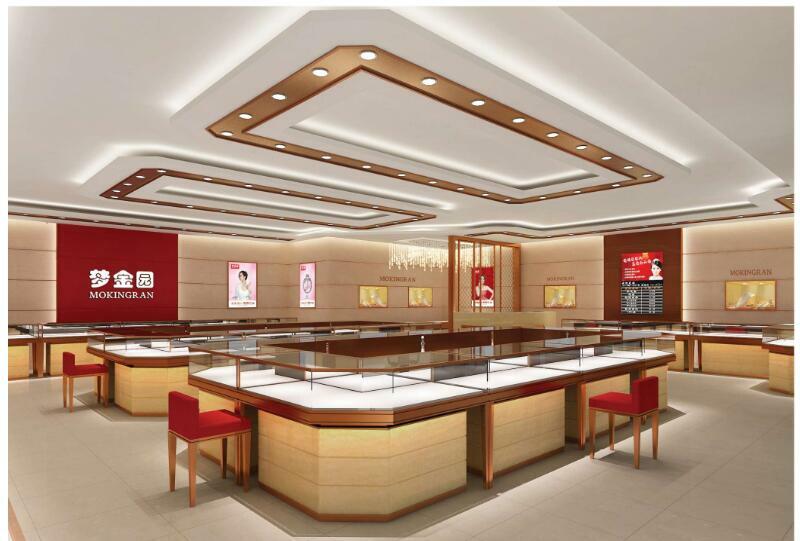 On jewelry wall display cabinet spot light will be more attractive And we usually used Led stripe light in jewelry counter bottom or adverting poster. 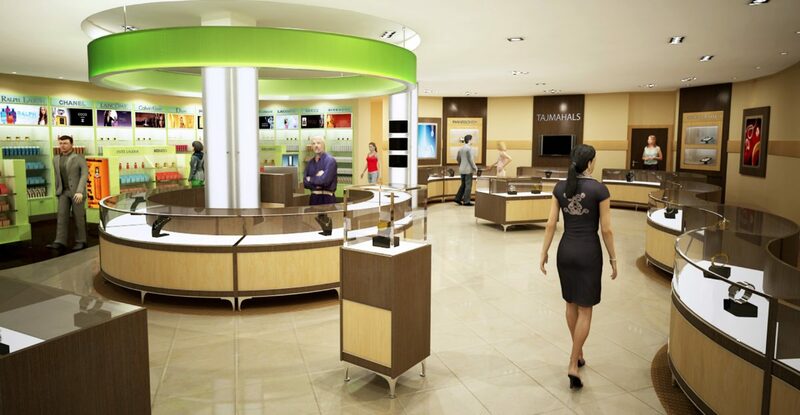 Inline Jewelry Shop interior design for jade and silvery.